According to Hindu belief, there are three Gods in Hinduism which are also called 'Tridev' orTrideva. These three gods are Brahma, Vishnu, and Mahesh. Brahma is the creator of Universe, Vishnu is the nurture of the world and Mahesh (Lord Shiva) means a destroyer. 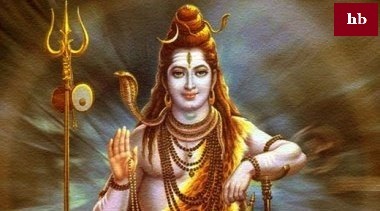 Lord Shiva has been given the title of the destroyer. Lord Shiva is also known as Bholenath, Shankarnath, Vaidyanath etc. Hinduism believes that devotees worshiping Lord Shankar could not fear death. Even the true worshiper of Shiva comes out of the mouth of death. Shiva Chalisa is spoken in Lord Shiva's worship. The mantra of Shiva Chalisa "Om Namah Shiva" is the most used mantra in Lord Shiva's worship. We are making Shiva Chalisa available here for the devotees of Lord Shiva. Please use this Shiva Chalisa in the worship of Lord Shiva. Read Shiv Chalisa every day; By reciting Shiv Chalisa, you will be blessed by Bholanath. Reading Shiva Chalisa in the Sawan Month is of particular importance. Through Shiva Chalisa, you can get great grace of Lord Shiva by forgetting all your sorrows.